There are 3 different types of tickets available for purchase on the GoodTimes site- Ultimate Access, Vip Access, & GA Access. The Ultimate Access pass allows you to learn from the creators on how to have a better social media presence. It allows you to attend Friday’s pre-day events, which includes panels of the two new apps, Ask.Live & Snakt! As well as being able to attend all 3 meet and greet groups, a private VIP party, all the performances, and much more alongside all your favorite influencers! The VIP Access pass allows you to attend all 3 meet and greet groups, attend the main show and the VIP after party. The GA pass allows you to attend the main show on the second night. GoodTimes also gave fans a free show on Friday night by Karizma! 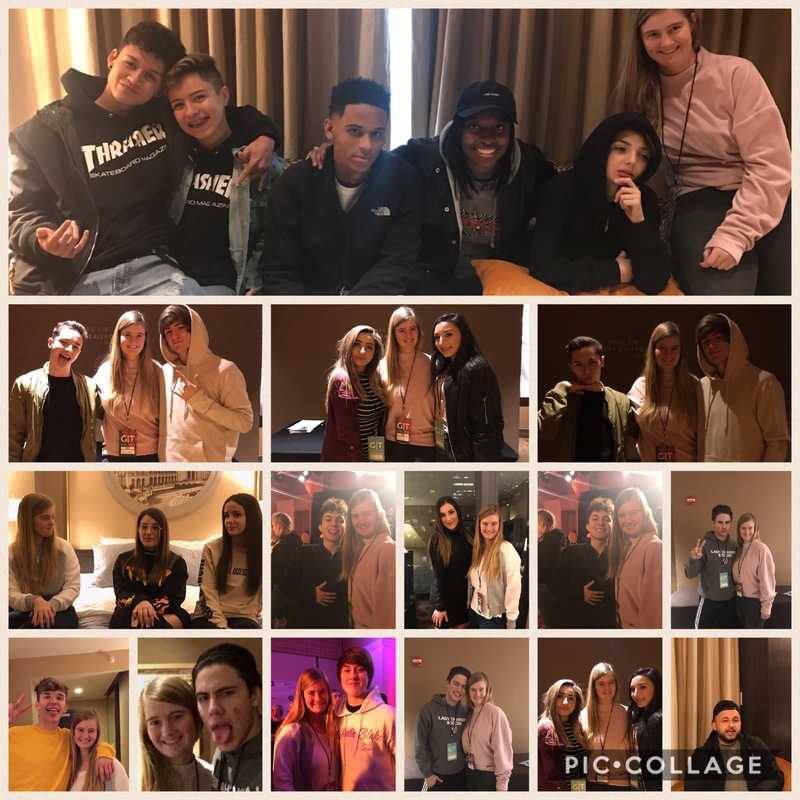 Some of the creators who attended GoodTimes Chicago were Bryce Hall, Mikey Barone, Tyler Brown, Tayler Holder, WhyNot Joey, Jackson Krecioch, Sam Collins, Daisha McBride, Nick Fleetwood, Cody Ryan, Kayla Nettles, Nick Andrisin, Crystal, IBobbyHD, Aaron Melloul, Braiden Wood, Matthew Taylor, FymBrandon, BeatBoxBanks, Aaron Fuller, Raegan Beast and many more. When we arrived on Thursday Night, the lobby was already packed with fans trying to meet their fave creators as they arrived to the hotel. I ended up seeing Tayler, Jackson, Aaron, & Tyler in the lobby as we were checking in. Personally, I don’t think the hotel knew what it was getting into hosting this event because it was only Thursday night and fans were already crying and running around in the lobby trying to meet the creators. I also found out that VIP sold out and they were expecting close to 1000 people coming to the show. They ended up getting a few noise complaints during the weekend also because of the show. 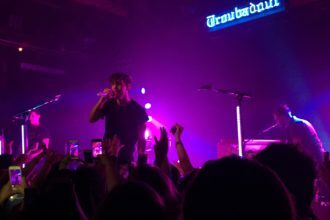 Although the event was chaotic at times, TeenMusicInsider made great connections with some of the creators, so make sure to keep an eye out for some amazing interviews. The main show on Saturday night was hosted by Bryce Hall. Bryce would run back and forth from the green room to introduce all the performers. Kayla Nettles, Daisha McBride, & BeatBoxBanks were my favorite performers of the night. I do have to say some of the songs they played might have been inappropriate for the age group attending the show. The VIP after party was fun though since fans got the chance to actually interact with the creators, not just snap a pic with them. 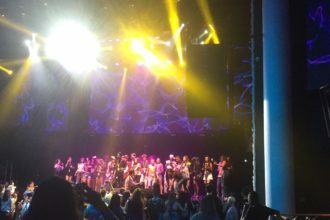 One cool thing that happened during the vip after party was that some of the creators had a dance battle in the middle of the crowd. The night ended around 12:00 with a mashup of Justin Bieber songs! Even though the weekend was a little stressful at times, it was great. If you would like me to do another interview with any of the creators on this list – let me know in the comments and we will set it up.